Actemra is prescribed for moderate to severe rheumatoid arthritis and certain types of juvenile arthritis. Actemra is an interleukin-6, or IL-6, receptor antagonist. Why are Actemra Lawsuits Being Filed? Rheumatoid arthritis medications carry serious risks, including heart attack, stroke, and certain types of lung disease. 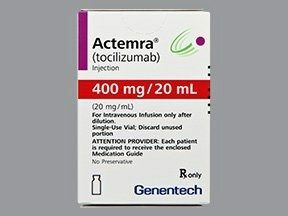 Other RA medications such as Humira and Remicade specifically warn of these risks, but the makers of Actemra market the drug as not having these risks. This led to doctors prescribing Actemra to patients who are susceptible to heart and lung injuries. Do I Have an Actemra Case? If you or a loved one took Actemra and suffered heart failure, stroke, pancreatitis, lung disease, or a gastrointestinal perforation, the pharmaceutical attorneys at Riley & Jackson can assist you free of charge in determining whether you may have an Actemra case.